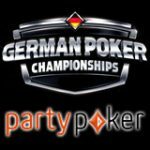 The Party Poker KO Series offers over $10 million in guaranteed prize pools spread across 164 online poker tournaments taking place daily from 25th February until 4th March, 2018. 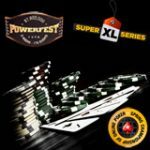 The online poker series features Progressive Knockout tournaments where players will collect cash prizes for each player they eliminate in a tournament on top of the guaranteed prize pool. 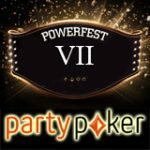 Players can buy-in directly or win tickets to the series by playing the daily satellite tournaments on PartyPoker. 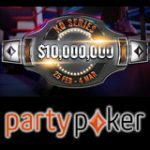 Play for your share of $10 million in the Party Poker KO Series, an online poker tournament series featuring only Knockout tournaments. 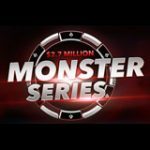 Three of the tournaments in the series have a million dollar guaranteed prize pool. The series features buy-ins to accommodate players of all stake levels with buy-ins starting from only $1.10. The schedule is jam-packed with 164 tournaments taking place over eight days starting from 25th February until 4th March, 2018. The KO series feature three Progressive Knockout ladies events which guarantee $17K in prize pools on 4th March, 2018. 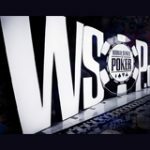 As an added prize if a player makes two final tables their prize will be doubled, make three final tables and get all three prize amounts tripled.